Has it really been 4 months since I last blogged!? Where does the time go? 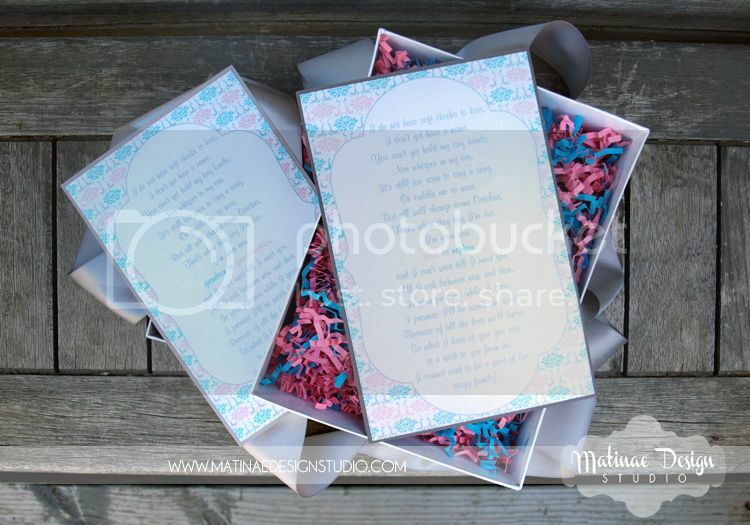 We've been staying busy here at MDS and Sugar Rush with the 2012 wedding season! So blessed to have such amazing clients! Speaking of amazing clients, we just love when we get to work with clients again after their big day which was the case with this project. 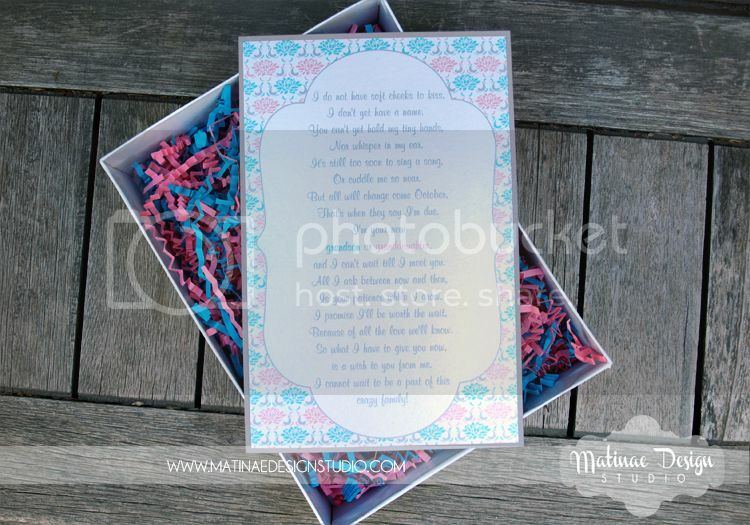 One of our 2011 brides came to us after she found out she was expecting and wanted us to design some boxed announcements that she'd give to her family to announce that her and her hubby were expecting their first child! 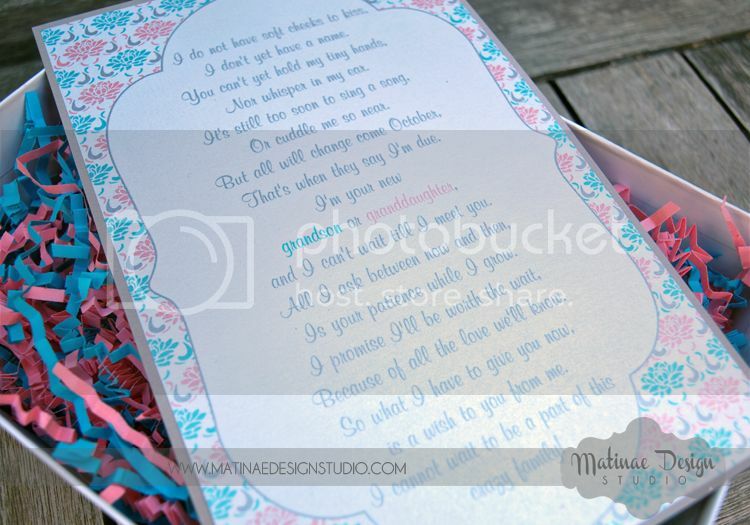 What a cute and special project and we were so very honored to design these for her! 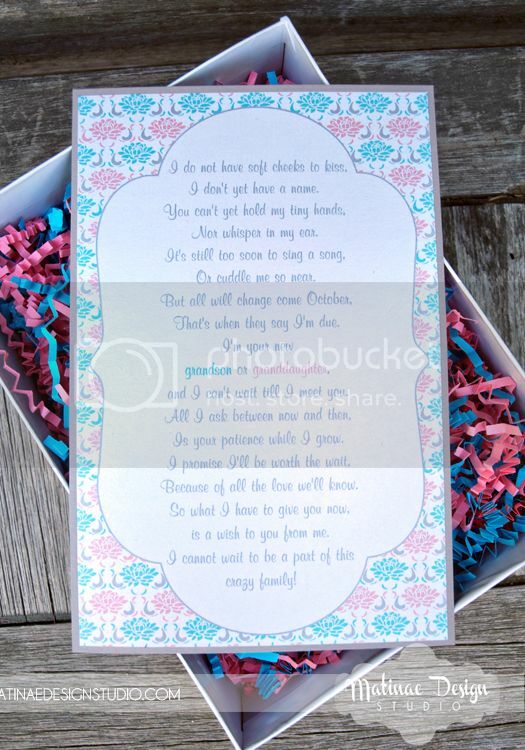 The announcements featured a blue and pink pattern with a soft gray backing panel. 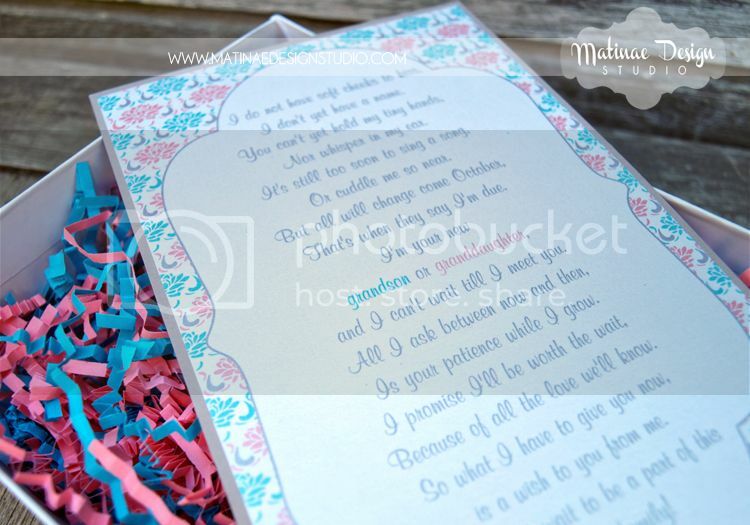 Each announcement was enclosed in a white box that was filled with blue and pink paper shred and was completed with the addition of a thick gray satin ribbon that was tied in a bow. 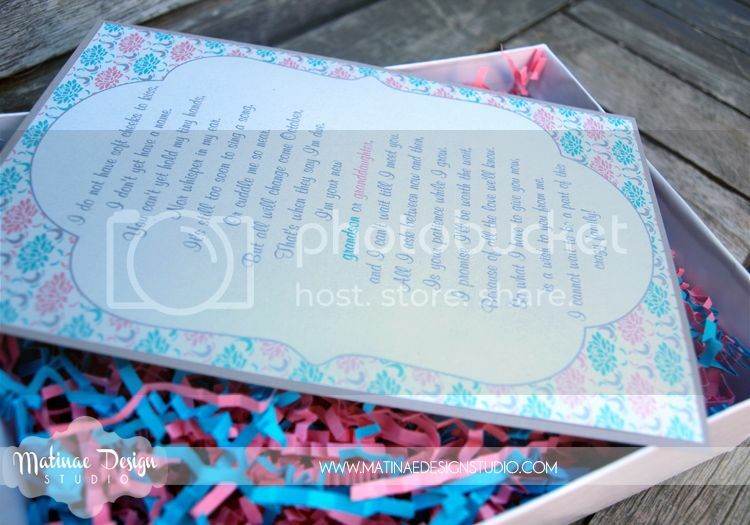 The boxes were given to their loved ones and from what our client said, everyone loved them! 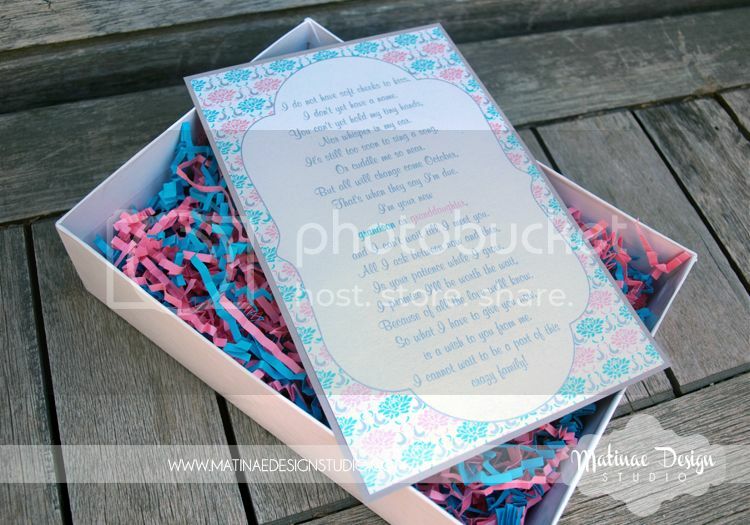 We'll be blogging the items we designed for this couple's wedding soon in which their identity will be revealed. Believe me, you won't want to miss this wedding feature!